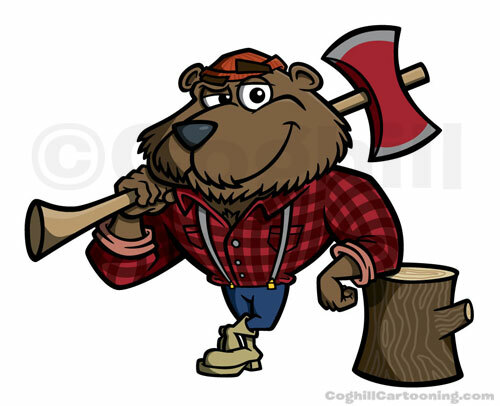 This cartoon bear as lumberjack character design was created as part of a logo design for hand-crafted wood furniture maker Wissota Woods. The client approached me on this project wanting a lumberjack character, but also wanting something a bit different. Bears are a fixture in his state of Wisconsin near Lake Wissota, so we ran with that. 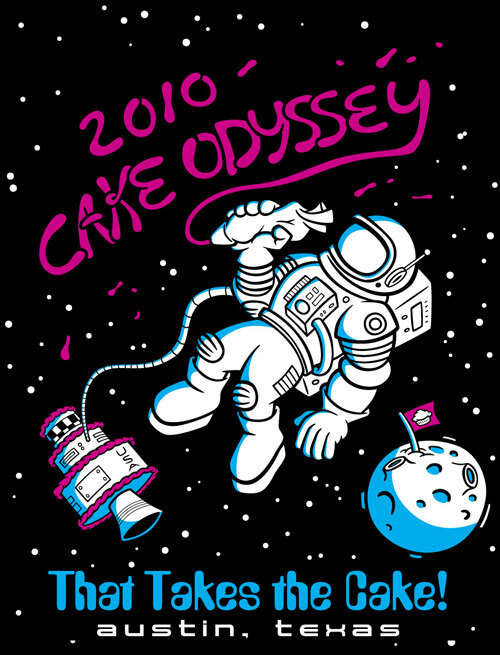 This cartoon astronaut with a cake spaceship was a fun t-shirt design. It was created for the annual Houston, Texas cake trade show & expo “That Takes The Cake!” hosted by Capital Confectioners.